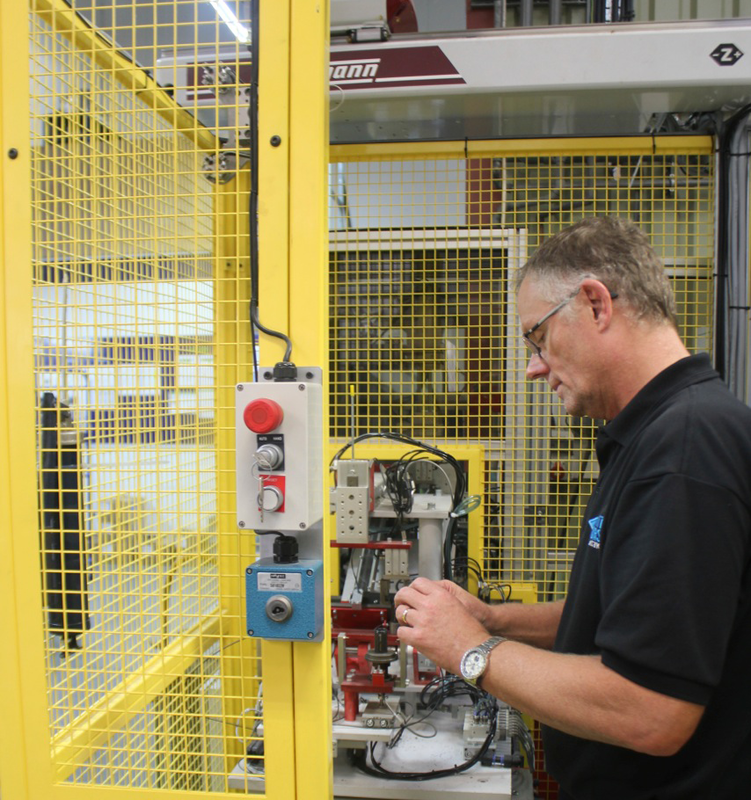 WHP (White Horse Plastics) Ltd, Wittmann Battenfeld and systems integrator Adept Automation have collaborated on a successful automation and production cell, quadrupling the previous production capacity of an intricate over-moulded automotive bearing used as part of a four stage door checker. The automation work was centred on the need to align 4 off inserts with micron-accurate location into the mould tool, involving sixteen moving cores and 32 shut through windows, an 18 second cycle time, and next to no tolerance on the 2 x 3mm key-ways into the bearing. The PA66- MoS2 filled part was then to be over-moulded in a metal bearing sleeve before being shipped to the automotive customer. A customised Wittmann Battenfeld injection moulding machine was specified and commissioned together with a Wittmann 818 3 axis robot. The downstream process was assisted by the work of Adept Automation leading to an effective fulfilment of the project.